Hi guys! Thanks for stopping by my stop on the hop. Heh. Okay, now down to business. I had completely forgotten that I had signed up for this one, but that's okay! 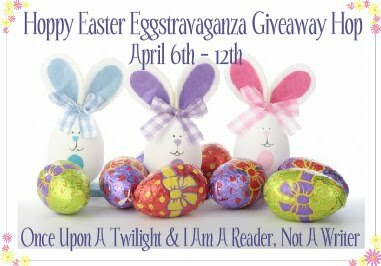 I actually have something that I can give away that is a bit of an Easter tradition in my family. That's right - Charleton Heston in all his Moses glory! I can't imagine what Easter would be here without The Ten Commandments. So, what you're getting is a brand-new, unopened Blu-ray copy of the movie. I ordered it because I LOVE this movie, but I can't bring myself to watch it except on Easter. And only when it's on television. Go ahead - call me "crazy". (I've heard worse.) But this is good for you, right? Since I am shipping this personally, I am asking that this be US only. Fret not, my international lovelies, I have quite a few giveaways coming along soon enough! Also, this is unexpectedly going to be my first giveaway using my new system, which is basically no system. (I'm tired of disqualifying people for being dishonest. I guess I'd rather not know.) I still love new followers (and question your sanity), but if you don't want to stick around and play, that's fine too. I'll still give you the loot, even if you're going to knock over dear, old Grandma as you rush past. Just be sure that someone is videoing it. And have them send it to me. Be sure to check out my other giveaways while you're here (there's a tab up top), but if you're all done, here's the linky list. Happy hopping (and be careful of Granny)! You're still here? Hmm... Well, maybe I'll throw in a little extra something. Just remind me when you win. It won't be much, but aren't surprises fun? 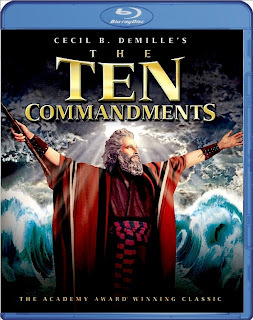 The Ten Comandments with Charlston Heston is a wonderful movie, especially at Easter. Love this movie. Haven't seen it in awhile. Used to watch with my father before he passed away. Thanks for giveaway!